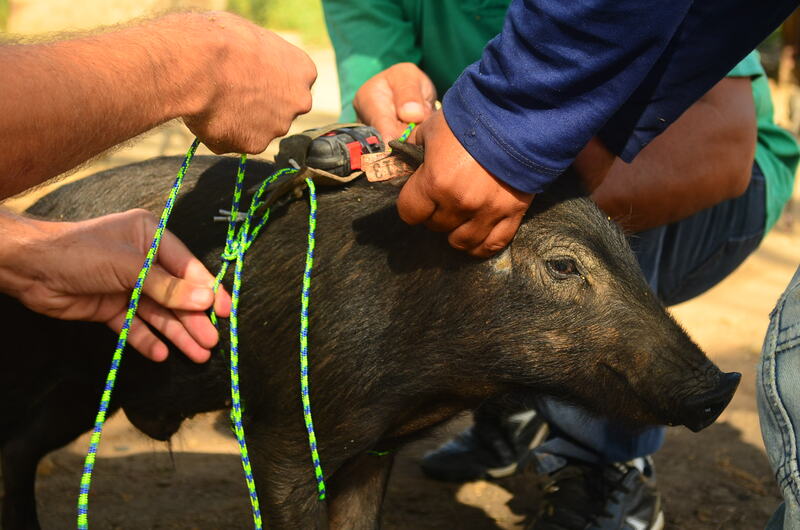 What is a pig worth to a Peruvian farmer? And how might knowing that actually help prevent a horrible infectious disease — one that is a leading cause of epilepsy in poor areas around the world? Those were the questions that Brian Garvey explored for his School of Public Health field experience in a rural area of Peru in November 2016. Brian, who earned his medical degree from OHSU in 2013, is now chief resident of the OHSU Family Medicine and Preventive Medicine Residency Program. He also earned his Master of Public Health degree from the School of Public Health in June 2017 and is a former health economics researcher. Brian’s field experience involved working with the School of Public Health’s Seth O’Neal, M.D., M.P.H., and his team in rural areas around Tumbes, Peru. O’Neal does research on Taenia solium — a pork tapeworm that infects the human brain and is a significant cause of preventable epilepsy in areas of Latin America, Asia and Africa. Humans get the intestinal form of the parasite by eating uncooked or undercooked pork that is infected. Humans in turn transmit the larval form of the parasite to both pigs and human via infectious eggs in their feces. While infection in humans can be minor and cause no noticeable symptoms, when infection involves brain tissue it can cause seizures. The severe problems are most prevalent in poor and rural areas, where there is no indoor plumbing and where pigs have access to human feces. O’Neal and his team are working on a range of research projects focusing on the tapeworm (including research that involved another SPH student’s field experience). Brian’s field experience involved research with a decidedly economic and pragmatic focus: He wanted to understand how much money a local Peruvian farmer made by selling a pig — and thus how much the farmer would lose if it was discovered the pig was infected. Brian says there is a natural impediment to finding infected pigs. Farmers have a disincentive to discovering whether their own pigs have the tapeworm because learning that means they would not be able to sell that pig for human consumption. And the loss of that sale would represent a large percentage of a farmer’s income. So Brian’s research focused on those economics, and on determining the price an outside entity would have to pay a farmer for an infected pig — to keep it out of the area’s food system. If the price was equal or nearly equal to what the farmer would get otherwise, farmers would be more willing to have their pigs screened for the infection, Brian says. Brian’s month of work on the project gathered data to serve as a foundation for a grant proposal for further study. An initial grant proposal was not funded by the National Institutes of Health, but Brian hopes to be able to rework the proposal to apply for another grant. After his residency, he will be staying at OHSU as a faculty member in Department of Family Medicine but also hopes to continue to do research, including with O’Neal’s team. He also hopes to continue research he has been exploring on opioid use. The field experience showed him that he can do what he really wants to do — be a physician while still being able to do public health research.